Published by Crime Express, 2011. Amir Hamade is homeless, and heading on a bitterly cold night to find shelter at St Barnabas Church, when he encounters a young frightened Somali girl. Unable to elicit any information from her, Amir feels that he cannot leave her - she is not dressed for the biting cold and in compassion he wraps his own coat around her and encourages her to go with him. Although Amir knows that St Barnabas is a male only shelter he is at a loss as to what else he can do, hoping that one of the helpers, Andre Motombo will be able to suggest somewhere for the girl to find shelter. But as they approach St Barnabas the girl becomes even more frightened and runs back the way that they have come. DC Tina Barraclough of the South Yorkshire police has for the last six months been on secondment from the elite Serious Crimes Unit to work on a project dealing with asylum seekers. Tina is also on a last chance and cannot afford to mess up. When she receives a message that Amir Hamade is in custody accused of murder and wants to see her, she knows that she must step carefully, as clearly Amir is seeking help – can she give it to him without jeopardising her own position. 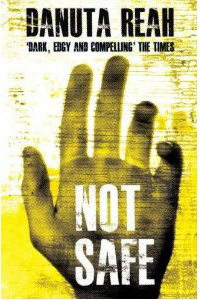 Not Safe is a dark and harrowing murder mystery that graphically illustrates the plight of the homeless and asylum seekers. The latter terrified of the detention centres which are rife with abuse. Once achieving asylum seeker status while waiting for their case to be they heard have a right to accommodation and a small amount of money, but exist in limbo unable to work. A thought provoking powerful story. Highly recommended. In 2005 she won the CWA Short Story Dagger for No Flies on Frank (which was included in the The Best British Mysteries IV anthology published by Allison & Busby in 2006. 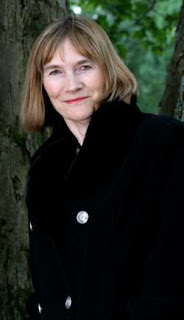 Danuta Reah is past Chair of the Crime Writers' Association. She also publishes academic books, valued as resources for the study of language. She is married and lives in South Yorkshire with her artist husband.